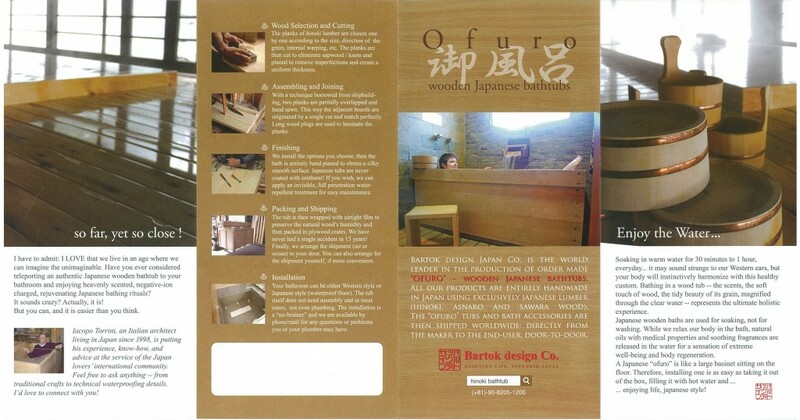 Blog | Bartok design Co. Blog – Page 16 – Bartok design Co.
We are planning a modern Japanese bathhouse to be placed in the garden of a victorian terraced house in London. This is just a concept plan, the client`s local architect will deal about permits, design details etc. It is a simple layout with outside storage, open terrace, lavatory room and bathroom. Try to look for “bartokdesign” inside the sketchup 3D warehouse if you wish to navigate the model! 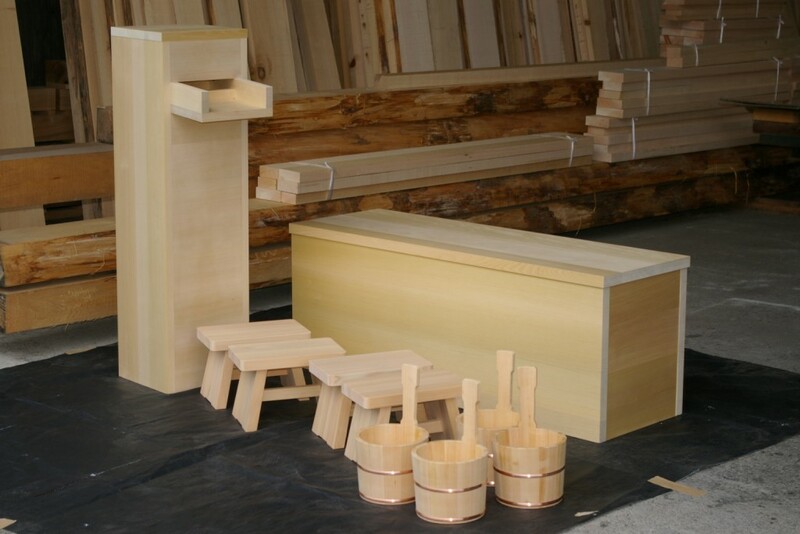 We also supplied other construction materials for a tatami room in the spa which is mainly going to be used for massage therapy. This is the “naguribori” floor have you ever seen it? It creates a great atmosphere and is also very pleasant to step on with bare feet. The design comes from the ancient technique of roughing out wood planks using a mattok like tool to make the planks flat and even. If needed the floor was then smoothed out with a had plane. But of course, in this case, we chose it for its texture. 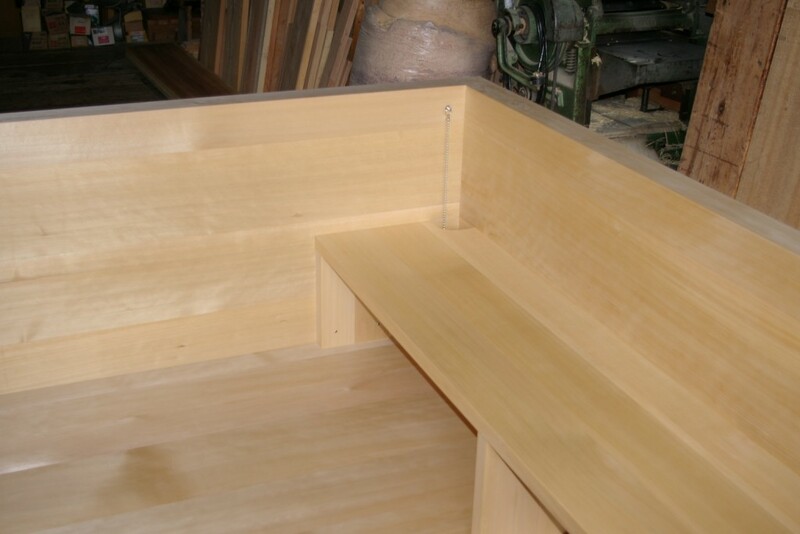 The planks are already processed with a tongue and groove matching joint for easy assembly. 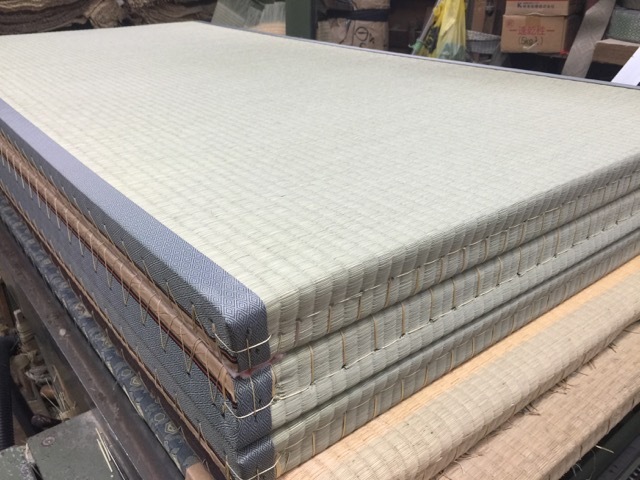 We also supplied tatami finished with natural “igusa” straw. 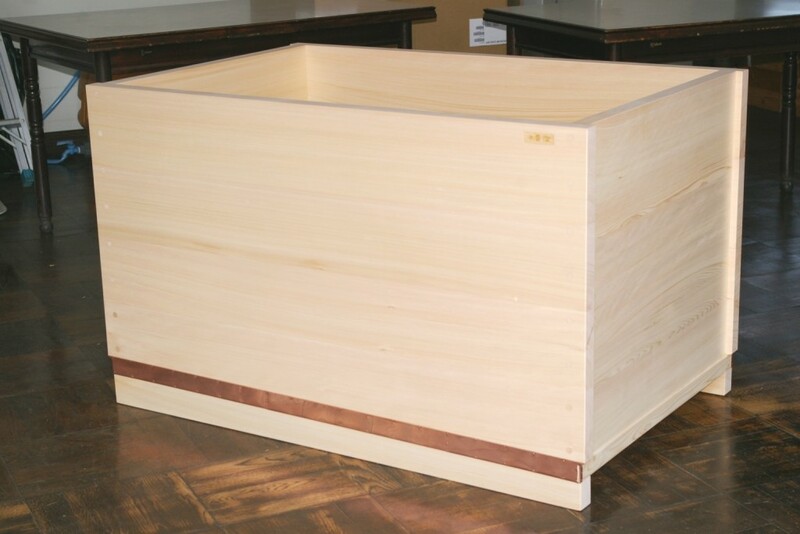 Enjoy the sweet aroma of tatami and their slow discolouration from green to light tobacco color. 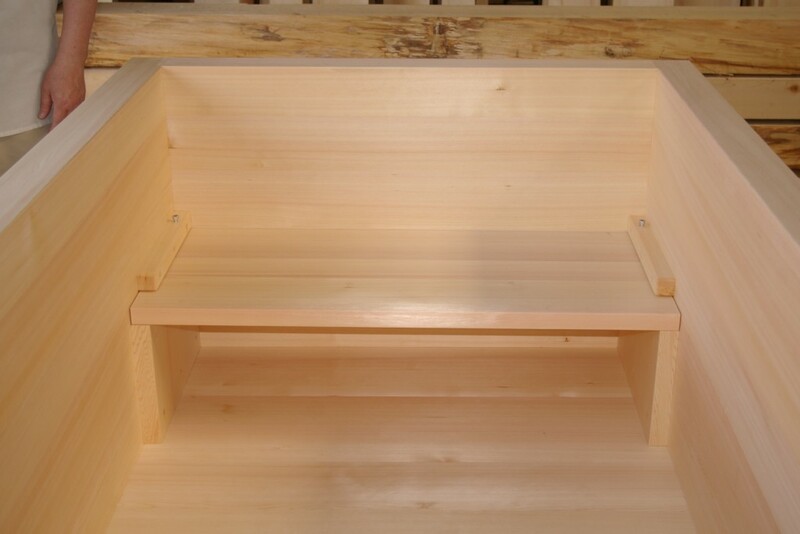 The inside of the tatami is not the traditional thickly packed straw but rather a sandwich of plywood and styrofoam. 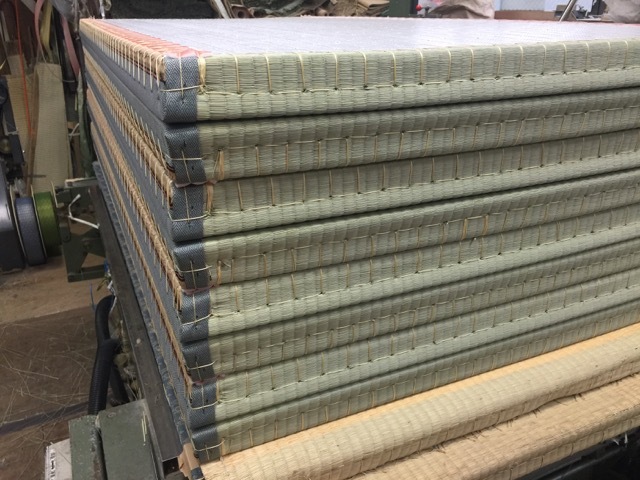 This is not the most authentic tatami construction but is now used in 95% of tatami rooms in Japan, including temples and heritage buildings. It does not sag over time and prevents the insurgence of mould and insects. Here is a layout of the tatami room. There is a “correct way” for any layout, so please consult with us by providing the internal dimensions of the room (width x depth) we will make the calculations as the best size for the individual mats. and here is a selection of the edge fabric (eri). If it was you which color would you have picked? Finally, we also supplied the fabric to finish the closet doors. 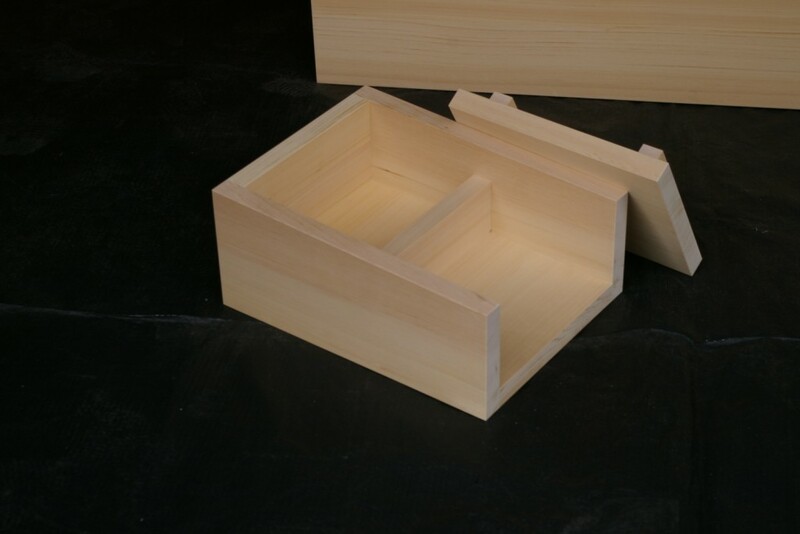 We can also supply the finished “fusuma” doors, but in this case, the client decided that they would have more flexibility to make the doors on site. I also provided some recessed handles so they can pick up the design that best matches the other elements of the room. 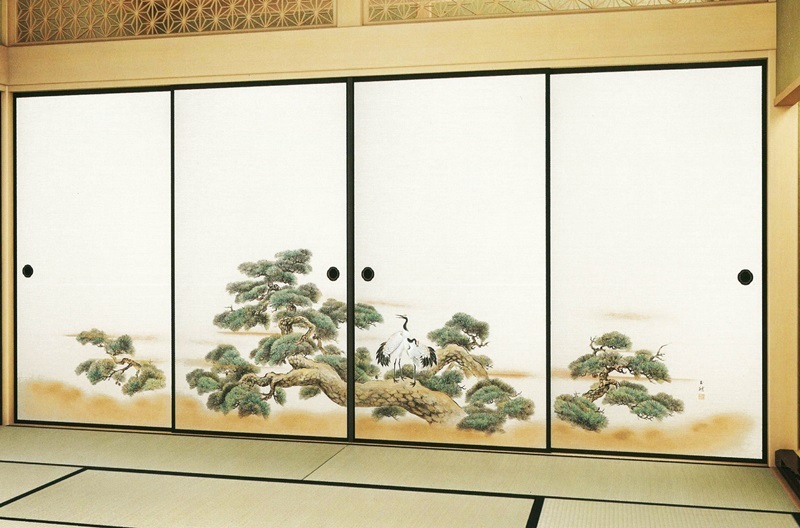 Once the doors are coated with the silk fabric I am sure you will feel like you are in a luxurious ryokan in Kyoto! Of course I will provide support thru email/skype for a proper choice of materials and detailing. 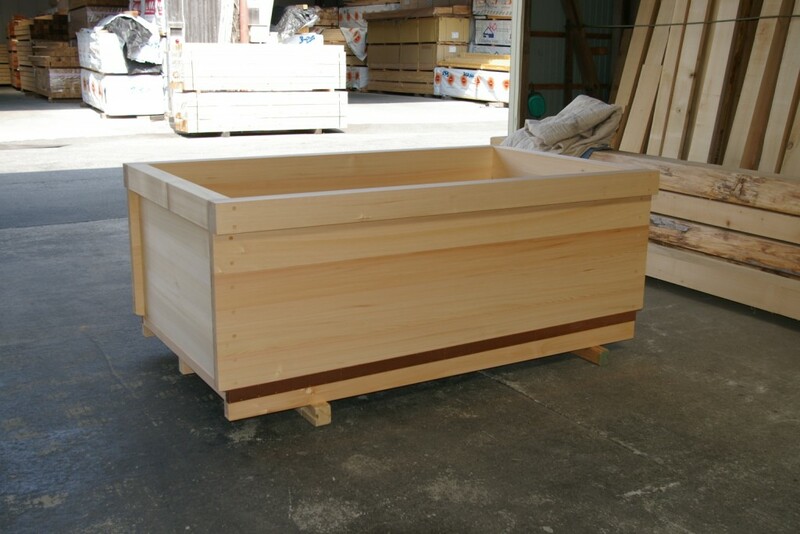 We have 5 tubs on the “production line” and are in the last stages of the bidding for a large supply for a hotel. 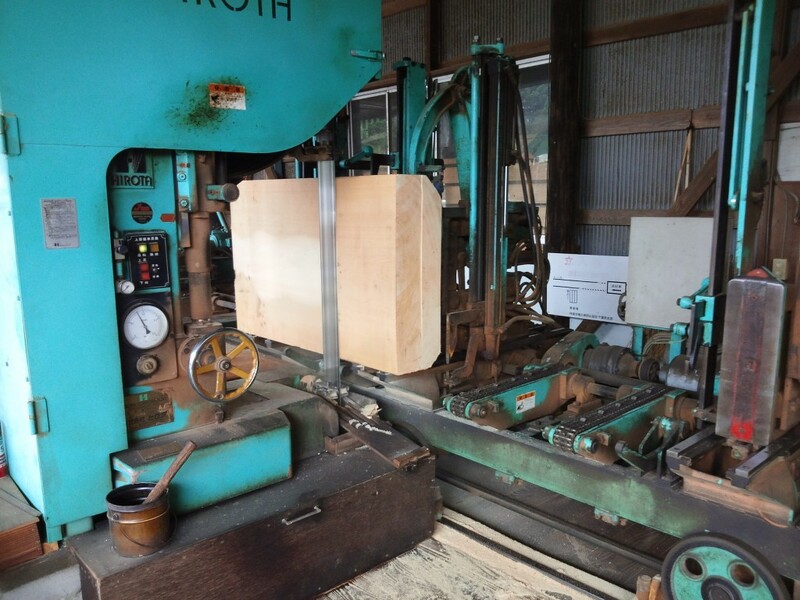 Luckily, we are finding beautiful lumber from our suppliers to replenish stock. 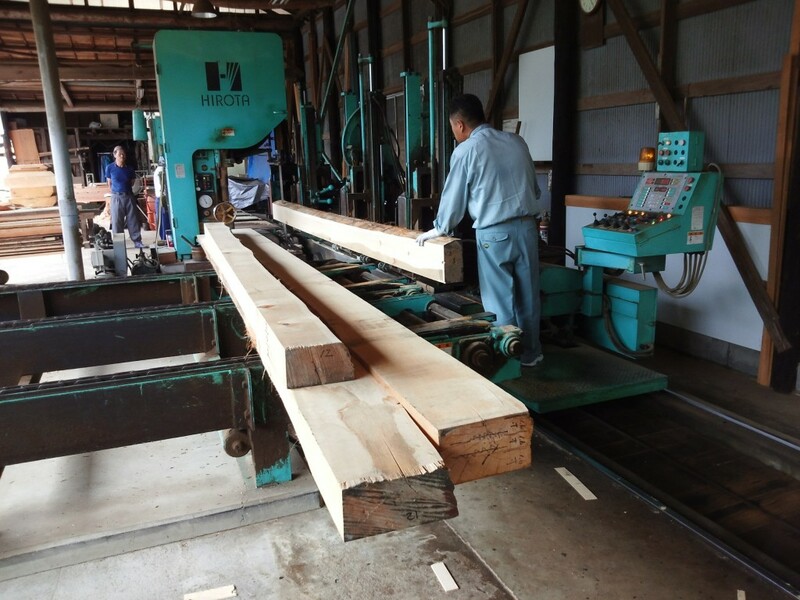 Yesterday we spent almost the full day slicing massive hinoki lumber. 1) will the fragrance of the wood be gone if i coat it? But how long (in general) will there be a nice fragrance from the planks? Or is it only a few days after install? 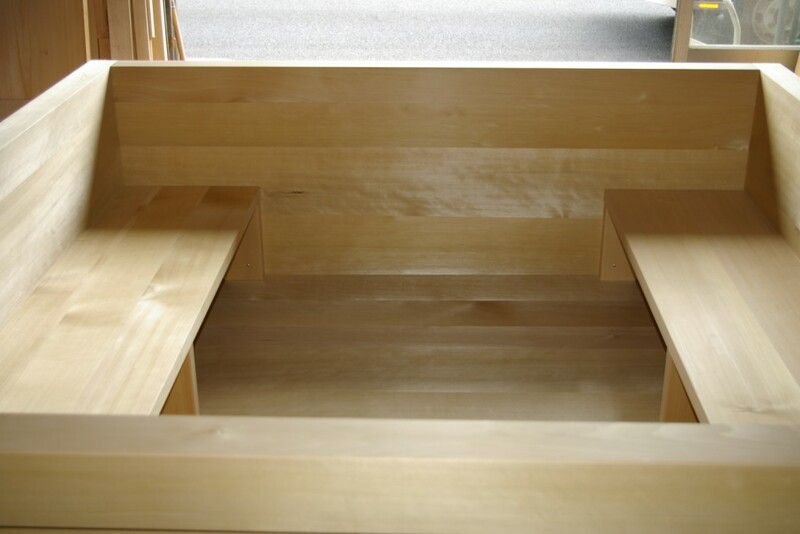 2) As the wood is soft, it will dent easily when items drop on it. How do you get rid of the dents? 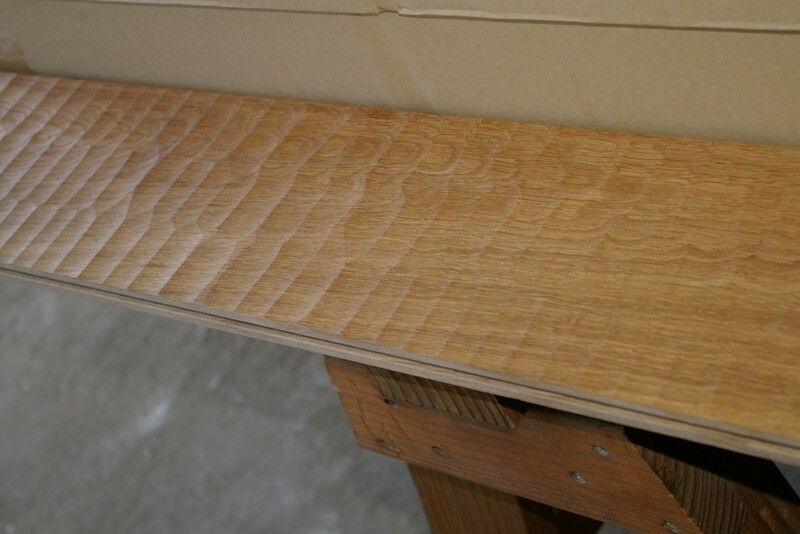 1) If you coat the wood with urethane you would private if of the fragrance. If you use a stain-type water repellent it will not affect the fragrance. The fragrance lasts for about one year but you will feel also years later if you rub the wood or clean it with a dump cloth. slip. Of course it becomes full of scratches but it does not look bad. Actually, you can test on one sample by dropping something heavy or something sharp. If it is a bedroom you will not have many chances to damage the floor. a) if it is a deep dent, you can keep a wet towel on the damaged plank for few hours. Apply also a hot iron (to iron clothes) on the towel to make the steam penetrate the wood. 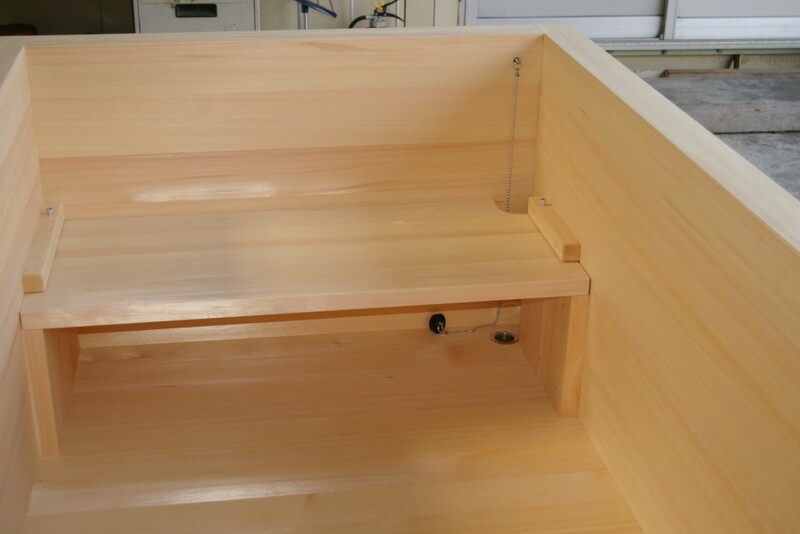 This will cause the wood to swell and to push back the compressed area. b) use masking tape to isolate the damaged plank. Then sand it with an electric sander #80 grits until the scratch disappears, then #120 and finally #400. Otherwise ask a professional repair company. They would infill the scratch while evening the area around. Thank you for your help. 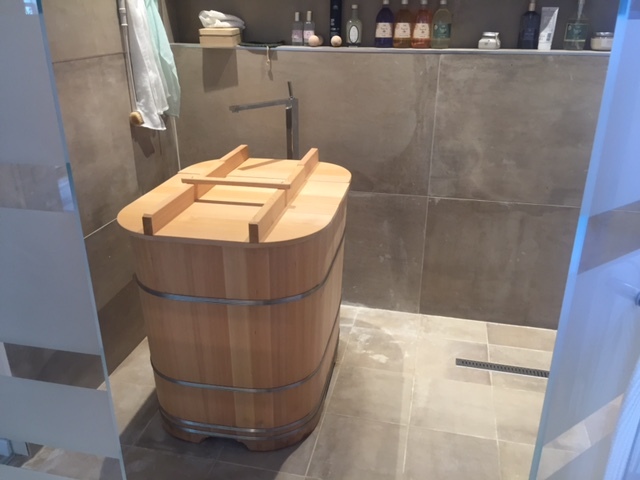 The main point is that a wooden tub does not need plumbing. The best way is that the builder makes a floor waterproofing sloping towards a floor drain. Then the ofuro is just left on the floor so that water would drain onto the floor and towards the floor drain! 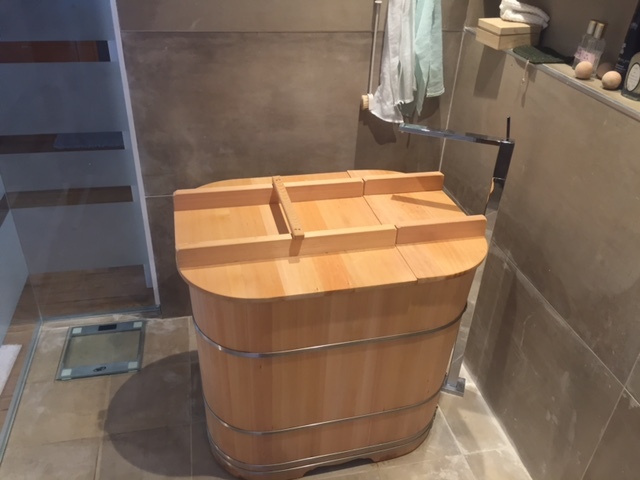 About the hot water tap is also very simple: it is wall mounted as most of acrylic and hollow bathtubs: it is not attached to the tub itself so the only thing the installer has to worry about is to install the tap high enough. 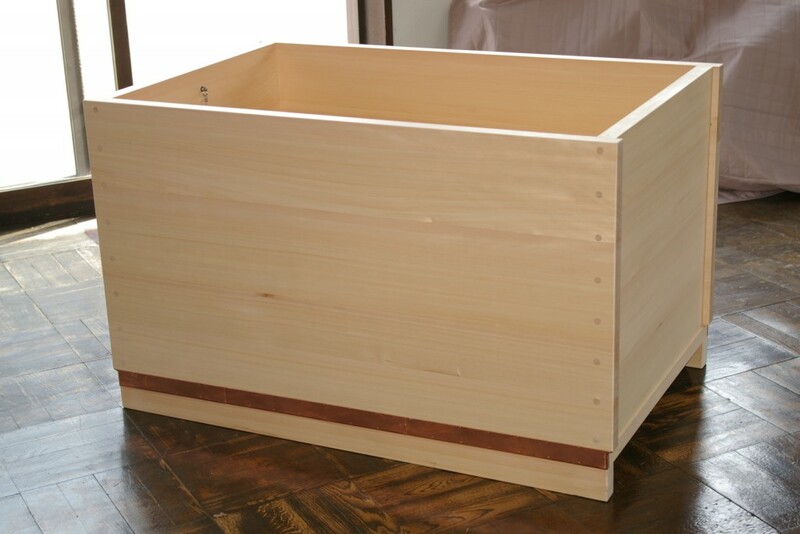 Again, the tub is like a large bassinet receiving water from the wall and discharging onto the floor. It is that simple! It is rightfully labeled “Onsen grande” (large onsen) and rivals in size with the basins used in japanese hot springs. This tub can comfortably sit 4 strangers or 6 friends/family members. “Panorama view” of the large internal seat. The planks would be too long and unstable if they were removable so we decided to make them fixed. The space between the 2 benches. When used only by one or 2 guests, it is possible to sit lengthwise in the deep area. This is the full picture of the spout with other accessories such as hinoki wood traditional stool (300x180x200H) and Sawara wood ladles with handle (te-oke). 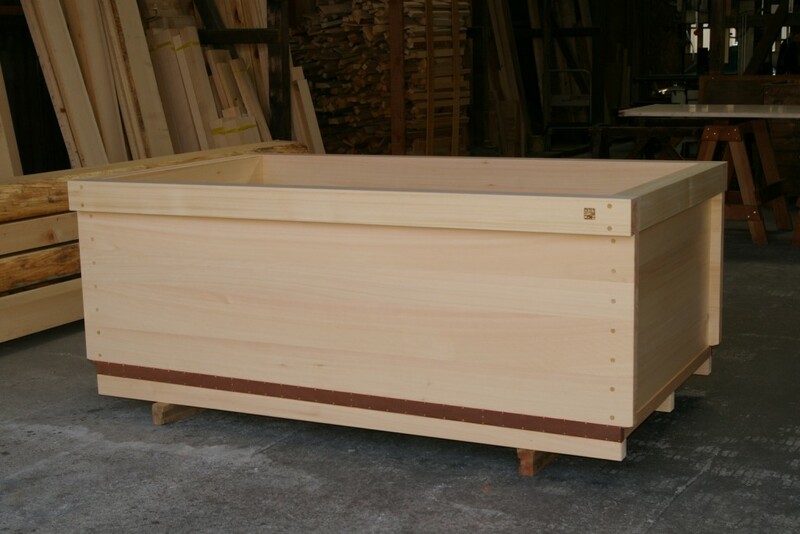 We received an order of 2 large ofuros + accessories and construction material (flooring, tatami, shoji doors) for a spa corner inside a large villa converted in Hotel near Bologna (Italy). 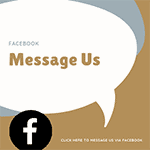 A friend running a spa-equipment company (YOU SPA) kindly referred us to the client. He made the concept design for the spa area with a modern touch. I am looking forward to the pictures of the completed space! 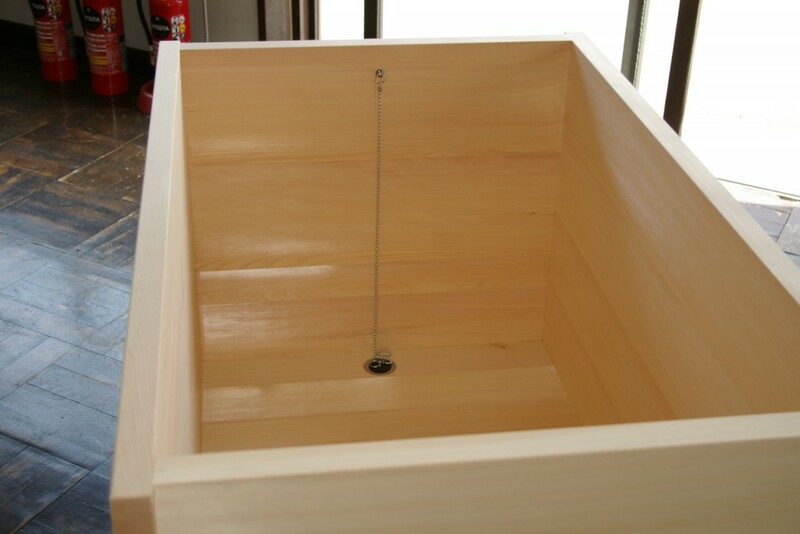 This is what they call “Onsen piccolo” (small … bathtub). 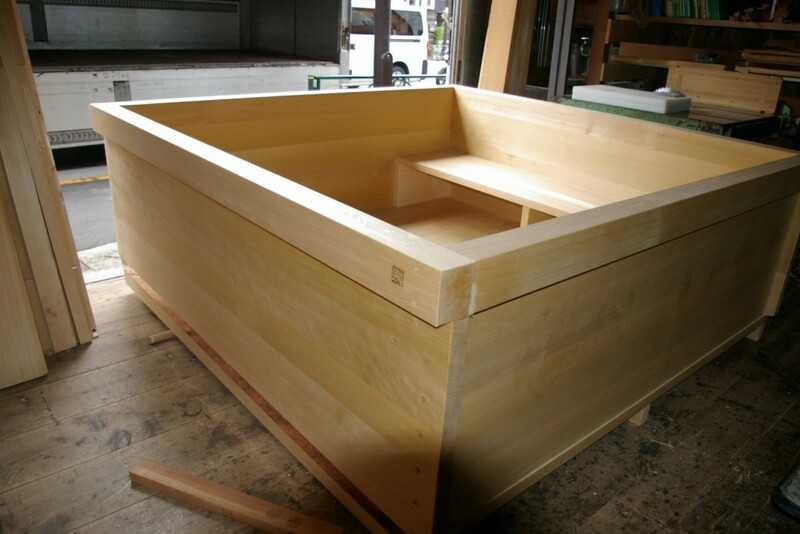 It is a statuary hinoki bathtub which can fit about two sumo wrestlers! The drain is tucked in a corner. 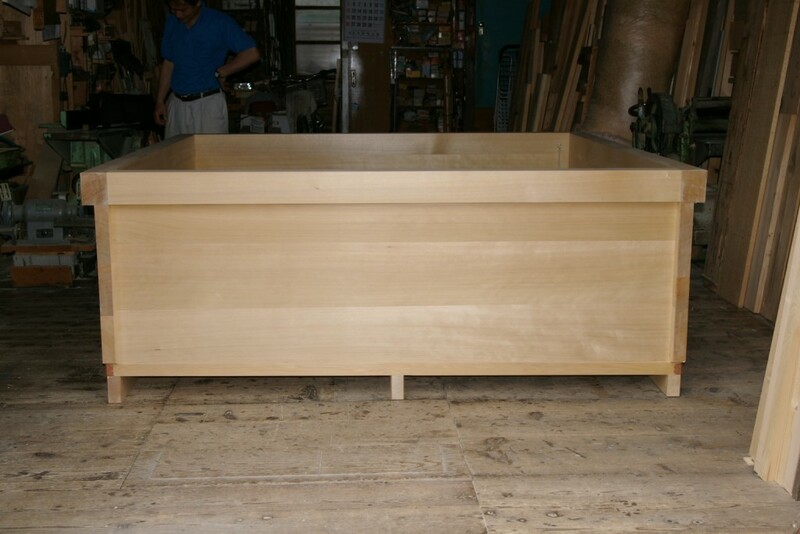 My partner Ikeda-san is very proud of this tub and could not help posing by his new masterpiece. 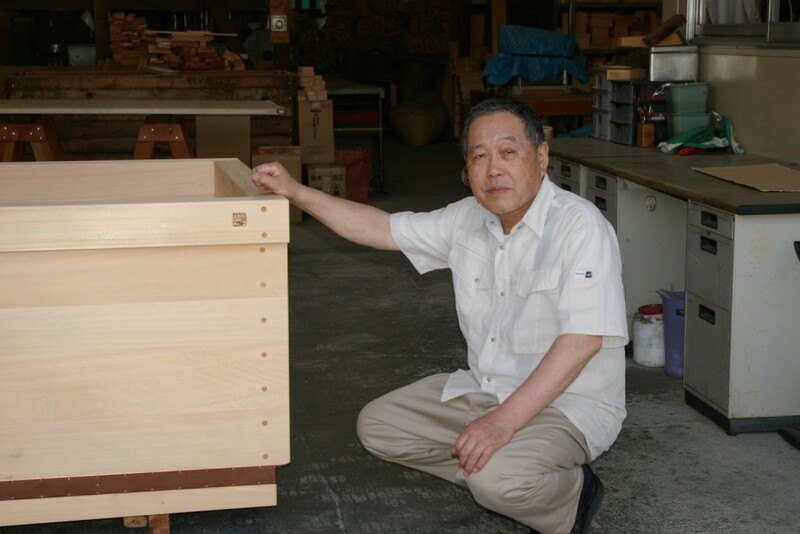 I said “SMILE!” but this was the maximum I could obtain from him… We have been working together 14 years now, but he is unchanged: born in the Kiso valley like all the hinoki we use, our hinoki expert Ikeda-san is made out of stainless steel! We bought an Ofuro from you about 2 years ago and finally installed it. It is wonderful – beautifully crafted and elegant and wonderfully relaxing. 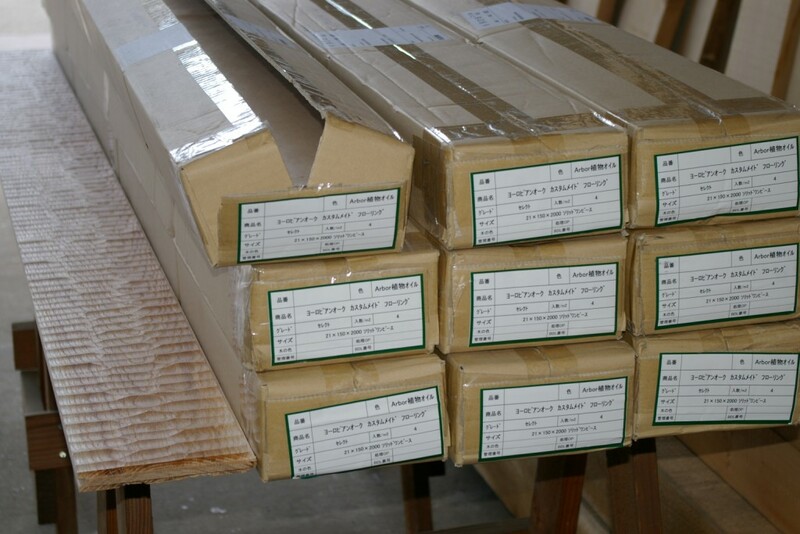 hinoki products pamphlets are ready! Finally we gave birth to the first Bartok design pamphlet. 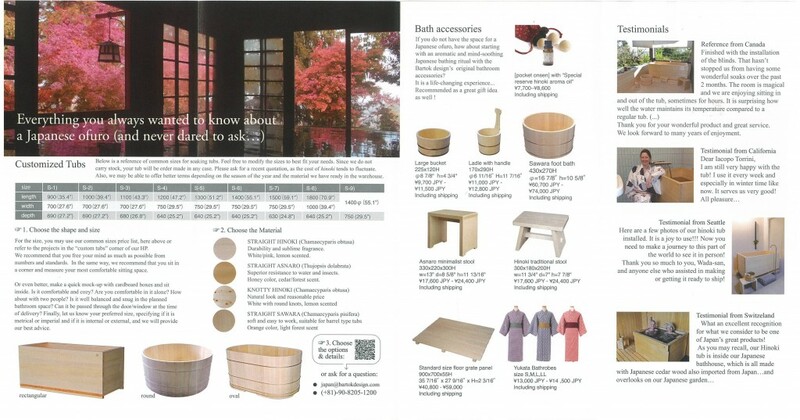 Since we sell mainly outside of japan and tru the internet, until now I always procrastinated but now I will be finally able to satisfy all the requests of friends wanting to present the Bartok design tubs and accessories to trade shows, friends and clients. There are also several hotels catering to international clientele who asked me some presentation material in the past. If you need some pamphlets or want to promote the Bartok design products (contact iacopo torrini for details) let us know!